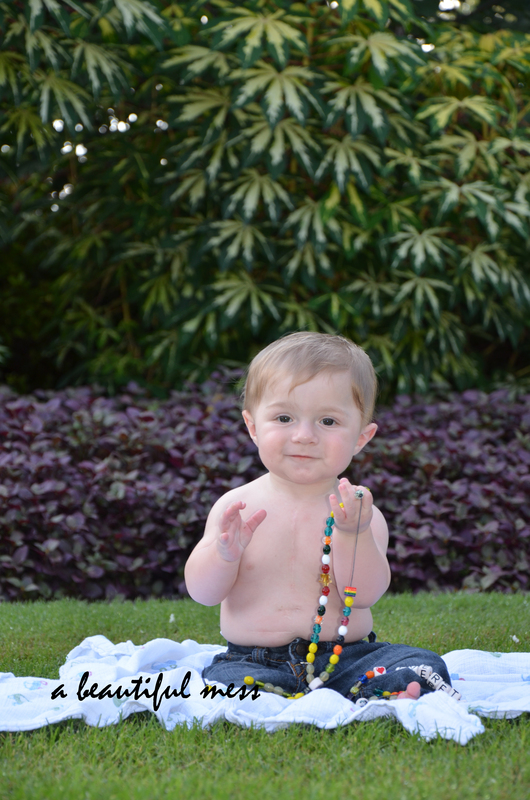 This week marks Everett’s one-year anniversary of his heart surgery. 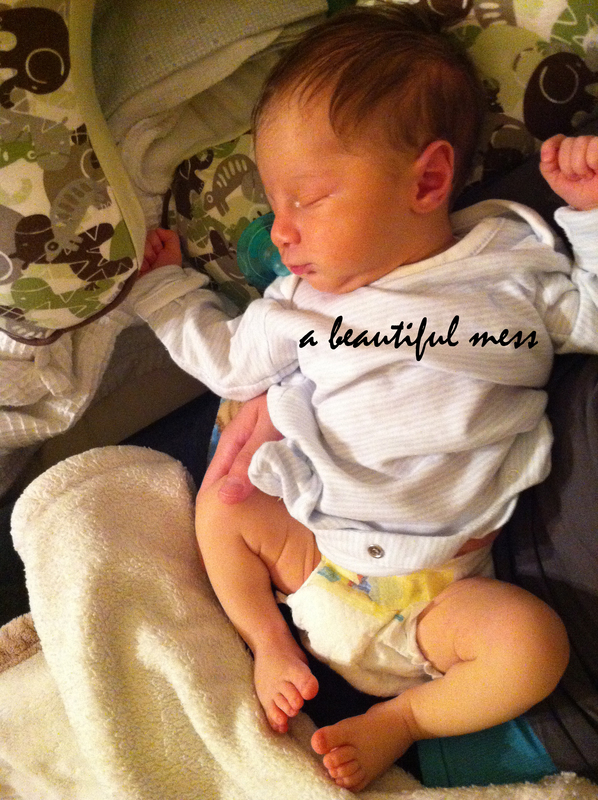 March 11 is the day Everett’s heart became new, and he could finally breathe easy. When I think back to where we were one year ago, the feelings are bittersweet. 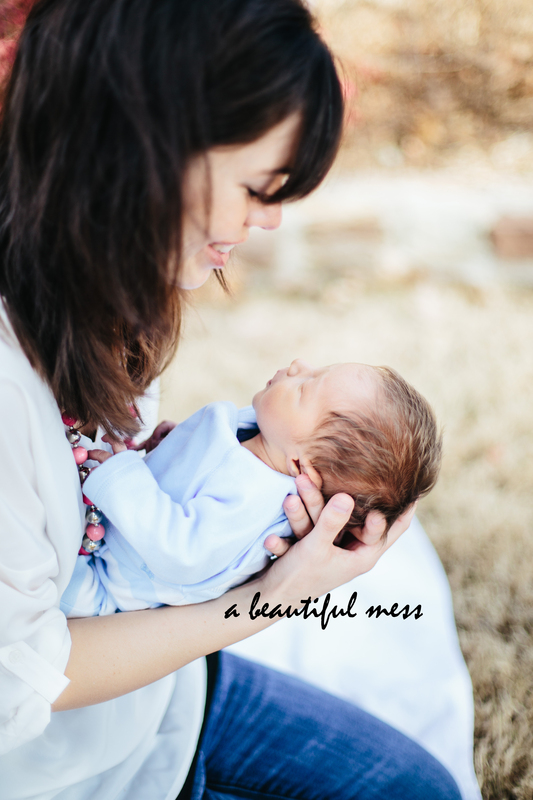 My heart aches remembering the worry, the unknown, the exhaustion, and the pain my two-month-old son had experienced in his short little life. But, the week following surgery, there was joy. There was hope. There was relief. 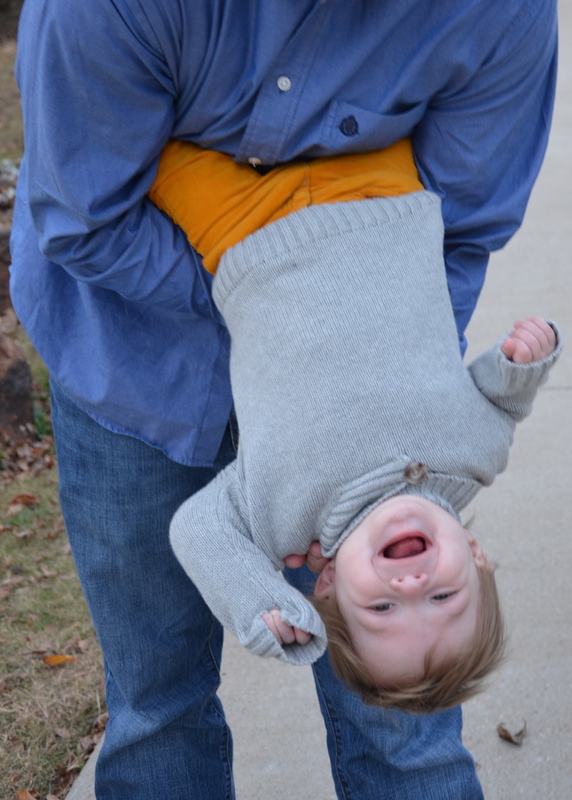 And, for the first time, there were smiles from our sweet Everett. How far he has come in only a year. We didn’t know what his future would look like following surgery – Whether he would be delayed, how long he would require the NG tube, whether the surgery would work. On the week celebrating his first anniversary, Everett is taking his first continuous steps. We have a walker. 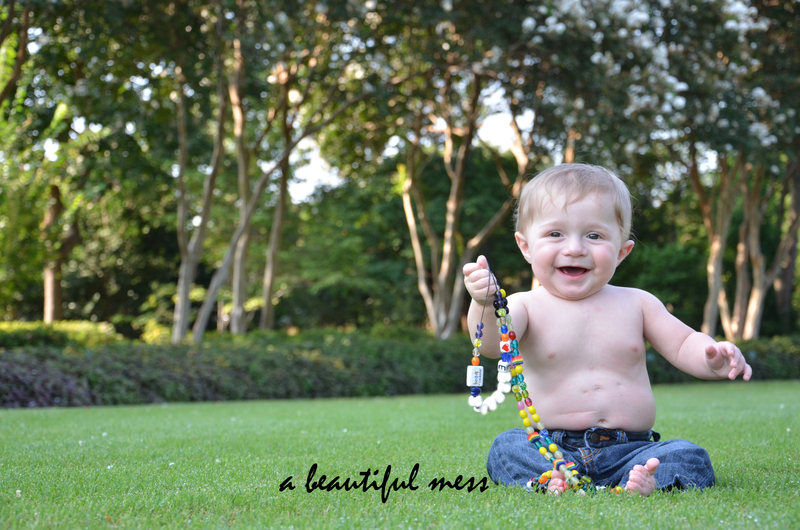 He has overcome all the obstacles, big and small, from this past year. And, today, we have a happy, healthy little boy. There will always be worry and concern that his heart is causing problems again, but, for now, our life is crazy in a normal way. 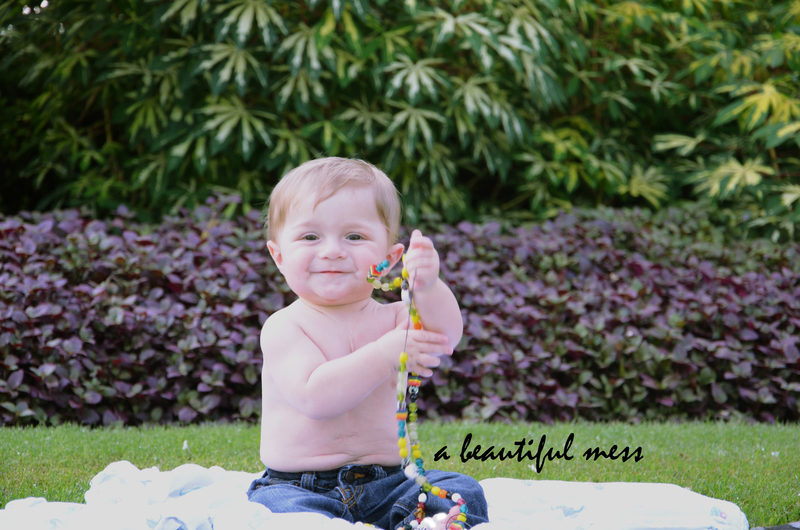 We have a newfound toddler who never ceases to explore the world around him, who already has a determined personality, and who smiles through all life’s hiccups. 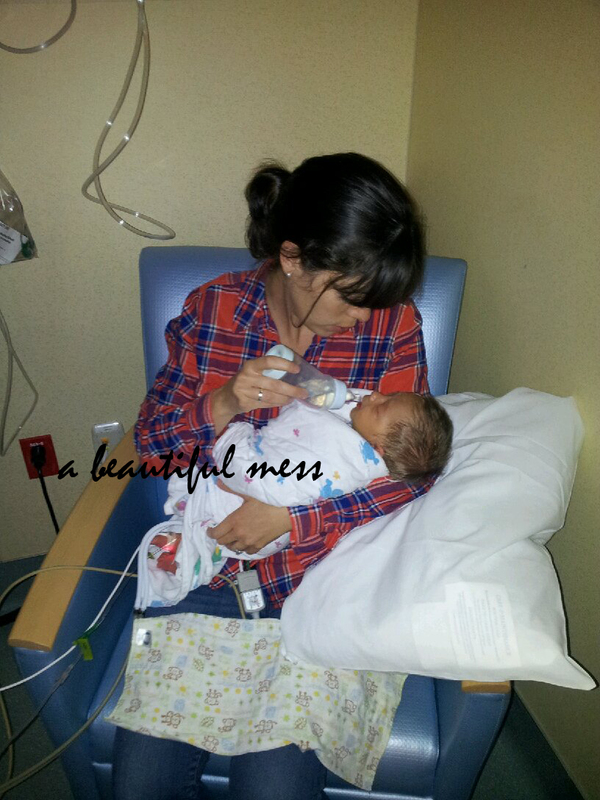 I never could have imagined this is what life would be like a year after surgery. Or, how beautiful that scar would look through my eyes. 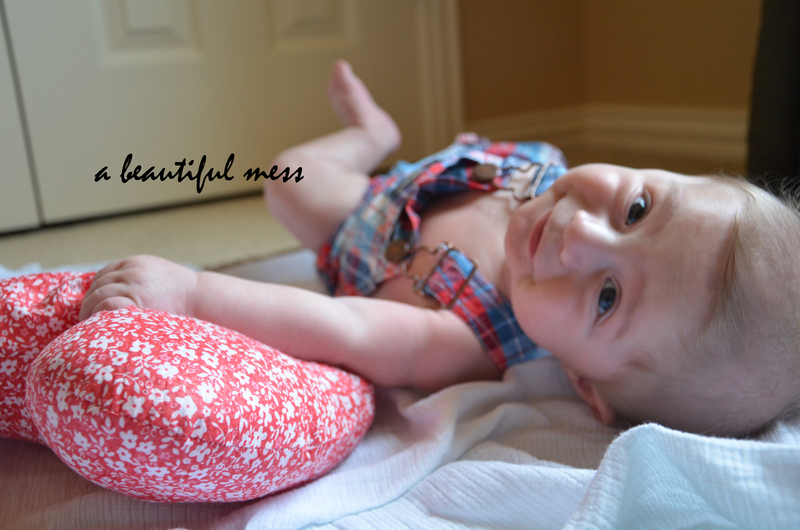 I never dreamed he would be walking, talking and causing mischief like any other child his age. I thank God for my miracle. Happy Heart Day, Everett. E was born in January, and he is a heart warrior. He earned his “zipper” four days prior to turning two months old. Along with a couple extra creases, easily confused as fat rolls now, from two abdominal surgeries at one month old. There was no hint of a problem during my pregnancy or at birth. 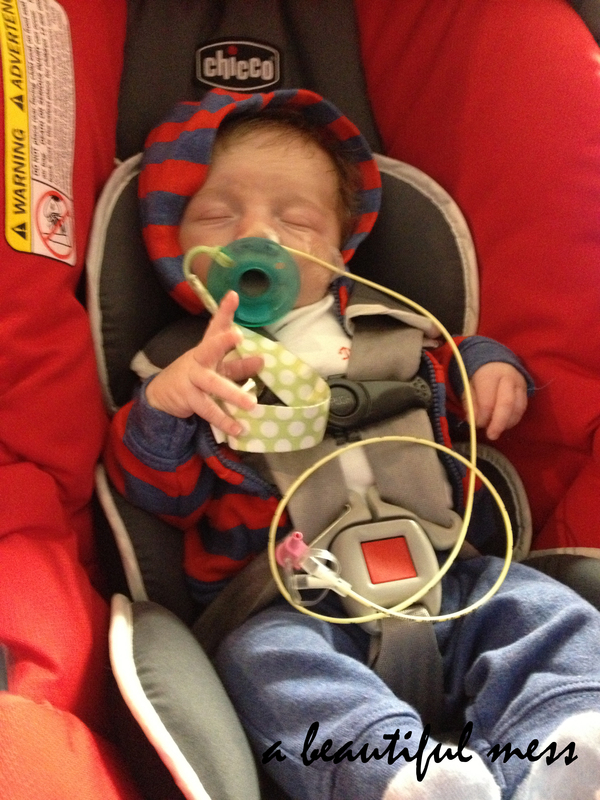 We discovered at two weeks old, a loud murmur, and sought additional opinions from a pediatric cardiologist. 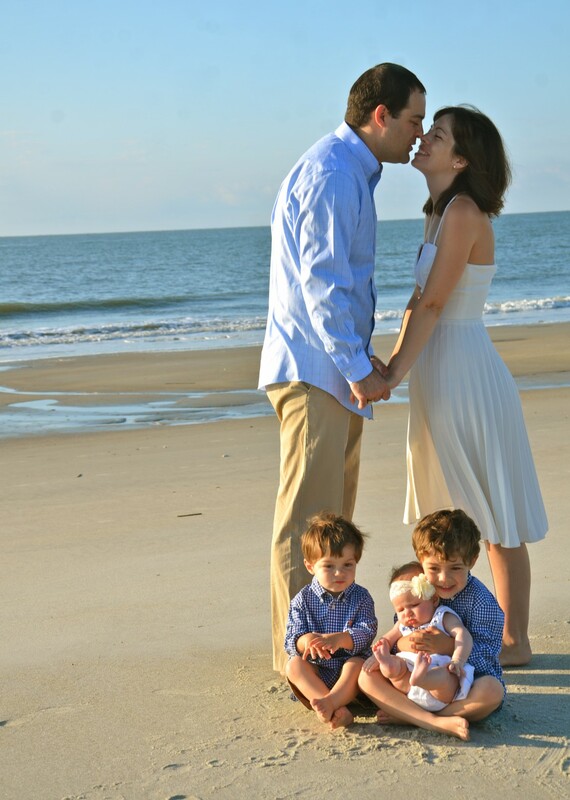 At this point, we learned he had an AV Canal defect (more detail another day), which meant surgery at four to six months of age. We didn’t make it to that point. 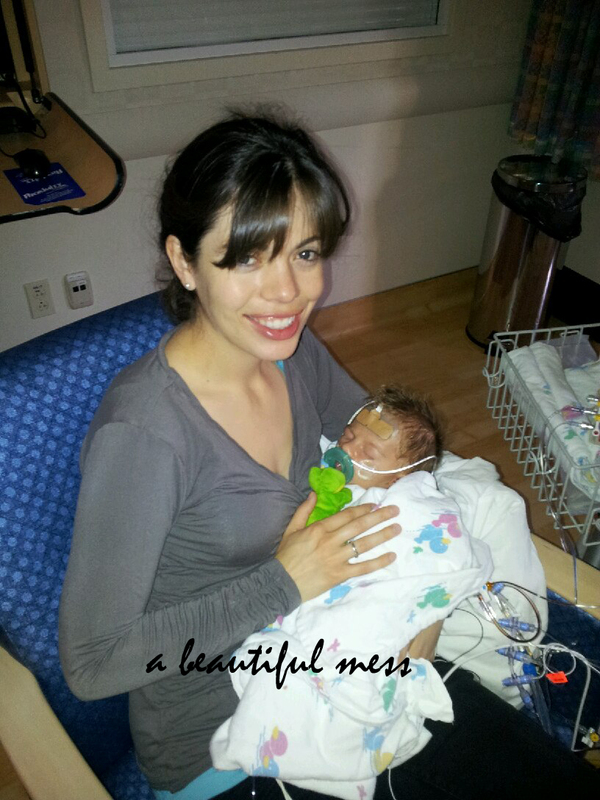 In March, E was recovering from surgery and still in newborn clothing. At almost seven months old, he now sports 9- and 12-month-old clothing. This child is a fighter. Despite, the medical troubles he encountered off the bat, E is my child of JOY. There is no word that describes him better. He is JOYFUL. 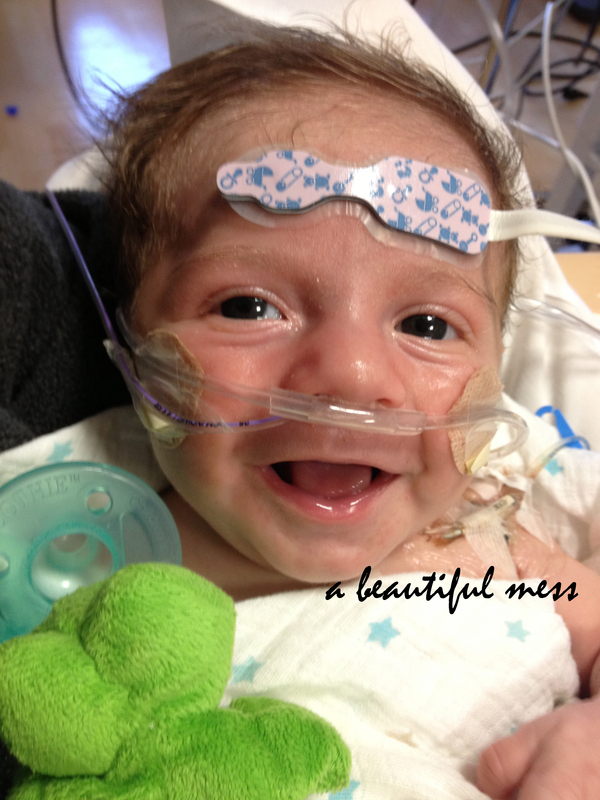 Three days after open heart surgery, he smiled for the first time and has not stopped smiling since. This is my miracle baby. My joy. My light. 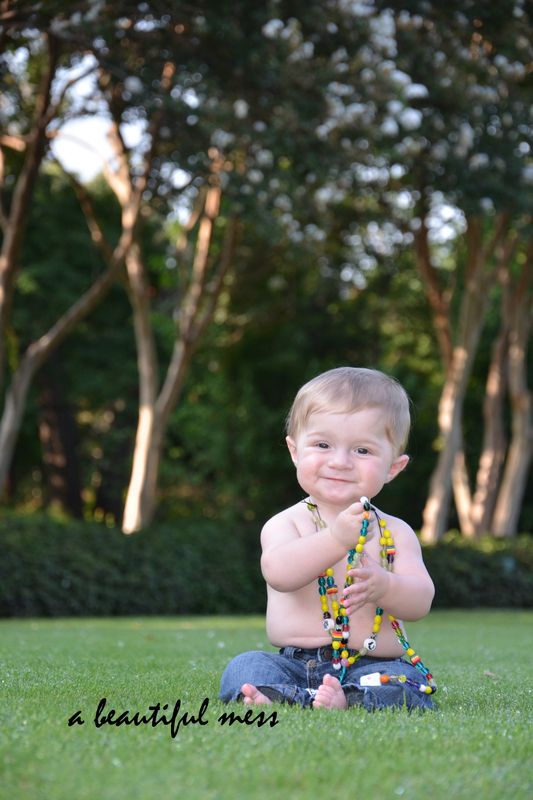 God has something very special planned for this little boy. Read more about his journey here.